The AFSC sign, from the archives of the American Friends Service Committee, Philadelphia. The exhibition of the Holocaust Museum of Washington, Americans and the Holocaust, describes the behavior of the American people regarding the Holocaust, focusing in particular on the faults, and the moments in which they could have stepped in to help the victims. Despite this, though, it also tells us about rescue stories of American people and associations that helped the Jews in the years of Nazi persecution. In October 1941, at age 26, French teacher Lois Gunden took off from Indiana heading for Europe to run the house for refugee children Ville St. Christophe in Canet-Plage, France. She had never been involved in rescue activities abroad and she had never been to Europe, but she spoke French, and the Mennonite Central Committee needed someone prepared to risk his life to help the others. Lois was ready. When she arrived at Ville St. Christophe – a big Summer house close to the Mediterranean Sea – she took care of 60 children, mainly kids of Spaniards who had fought for the losing faction of the civil war, and had been interned in French camps. Many of those children had been imprisoned in the nearby refugee camp of Rivesaltes and they were severely malnourished. In 1942 then, professor Gunden started also dealing with the Jewish children who had been secretly released or freed from the French internment camps with the aid of the American Friends Service Committee (AFSC), a Quaker aid group, and the Œuvre de Secours aux Enfants (OSE), a French associations of kids rescue. Lois refused to allow the French police to search for the Jewish kids at Ville St. Christophe, saving their lives. (“Her rescue work in France, as she wrote in her memoir published in 1945, was very time-consuming and she could not afford to be tired”). In November 1942, Nazi Germany occupied Southern France. Lois, who was then far from Ville St. Christophe, decided that her colleagues would continue to take care of the kids and take them into safety. Two months later, police arrested her and imprisoned her as a citizen of an enemy nation. She and the other Americans captured in Southern France – mainly diplomats, journalists and humanitarian workers – were sent to Germany, held in a hotel complex for over one year until they were released within a prisoner exchange. She got back to Indiana and kept on teaching French. In 2013 she was bestowed the title as "Righteous among the nations”. With First Lady Eleanor Roosevelt as President, USCOM made it possible to take to the United States over 300 refugee children, most of whom were Jewish, from Southern France, Spain and Portugal, from 1940 to 1945. Martha Sharp – American Righteous Among the Nations who with her husband helped hundreds people escape Nazi persecution – organized the first USCOM expedition. The Officials of the US State Department on that occasion issued visas for 29 children in the South of France, who would leave for the United States in December 1940. Although the majority of them was not of Jewish descent, the efforts of Martha Sharp provided the model for the future USCOM expeditions, which took into safety mostly Jewish refugee children. At the beginning of 1941, USCOM worked together with the American Friends Service Committee, AFSC, a Quaker help organization that had been helping a lot of refugees ever since World War I. The AFSC rescuers in the South of France gathered children coming from the orphanages and French internment camps. Some of the parents of those children had been imprisoned, many would then be taken to Auschwitz-Birkenau to die in the Holocaust. The resettlements from Europe were difficult and expensive; The Committee acted within a network of numerous rescue agencies cooperating with each other: the American Jewish Joint Distribution Committee paid for the ship tickets with the help of the Hebrew Immigrant Aid Society, HIAS. When the children reached the United States, the German Jewish Children’s Aid organization, the US government’s Children’s Bureau, and the National Refugee Service supervised their assistance and then the entrustment of the fostering families. Ruth Engelhardt, 7 years old, arrived in the United States thanks to the Committee in 1941. Her Jewish father had been killed by the Nazis and her mother had been interned in a camp. Ruth and other 44 children, mostly Jewish, were embarked on a Portuguese passenger ship, SS Mouzinho, and arrived in New York. Ruth’s mother, Helene, survived the war and reunited with her daughter in 1947. After Nazi Germany invaded Southern France in November 1942, USCOM was no more able to evacuate the children from that area, although some of them were rescued by Spain and Portugal. The organization remained active for the whole duration of the war, prepared in case there would be other chances to save children. 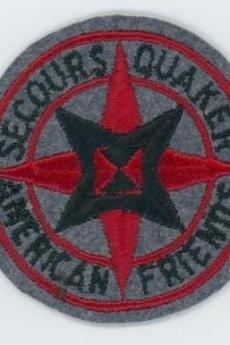 The Quakers were, in the United States of the 30es, less then none tenth of the 1% of the population, but they had always been acted in social movements, and in the face of Nazi persecution, they stepped in. AFSC had been created in 1917 to deal with the humanitarian needs that had emerged after World War I. At its apex, in the Twenties, it delivered meals for almost 1 million European children a day. The funding of part of this activity was provided by the American Jewish Joint Distribution Committee. After the violent anti-Jewish pogroms of Kristallnacht on 9-10 November 1938, AFSC created a “Refugee Department” in order to provide assistance, and it started helping people to escape Nazi Europe, besides to find their beloved ones again and adapt to life in the US. AFSC gathered hundreds requests every months from people who were trying to flee from Nazism, helping a lot of “non aryan Christians” (the ones considered as “racially Jewish” by the Nurnberger Laws but who were not religious Jews) and those who were in mixed marriages between Jews and non Jews. One of the refugees who were rescued by the Committee was Tom Doeppner, an 18-year old who escaped Germany, went to the Netherlands, and from there asked the Quakers to help him emigrate to the United States. AFSC obtained the admission of Doeppner to the McPherson College in Kansas, one of the over 200 colleges that enlisted refugees, and raised funds to pay for their grants. Tom was assisted in obtaining the visa and the Quakers paid for his trip to the US. AFSC distributed financial aid to the refugees, identified the American citizens willing to spnsor them – a key step in the resettlement process –, taught English to them and passed on to them the necessary notions to live as Americans. Together with USCOM, it also played a key role in helping hundreds kids, including Jews and children of Spanish republicans, to reach the US between 1941 and 1942. For his effort it was awarded the Peace Nobel Prize in 1947. In the framework of second world war (1939-1945) Europe witnessed the genocide of the Jewish people (1941-1945). The “final solution“, the extermination of six million Jews, was planned by Hitler who had come on power in Germany in 1933. Since the publication of Mein Kampf, Hitler had planned the nationalsocialist revolution based on a racist ideology. In the memory of the Jewish people and in the verdict that closed the works of the International Military Court, 6,000,000 victims of the extermination are estimated. As a matter of facts, the most reliable scholars including Raul Hilberg estimate about 5,200,000 victims.